As the academic year for law students comes to a close, the Deans from Hong Kong’s three law schools come together to discuss how legal education and the academic research environment in Hong Kong can be improved and how they are building upon their predecessors’ legacies. 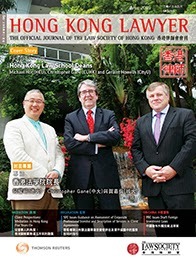 Christopher Gane, Dean of the Faculty of Law of The Chinese University of Hong Kong (“CUHK”), Michael Hor, Dean of the Faculty of Law of The University of Hong Kong (“HKU”) and Geraint Howells, Dean of the Law School at City University of Hong Kong (“CityU”) have all been tasked with leading their institutions through challenging times when legal education around the world is going through profound changes as a result of globalisation, technology and changes in the way governments are allowing legal services to be provided. The Deans have also been thrust into the unenviable position of steering their faculty and students through the politically turbulent events of 2014, while simultaneously striving to offer members of the community a platform to engage in an informed, constructive and friendly dialogue on the legal dimensions of these events. Despite these challenges, the three Deans have remained committed to being role models for their students and to building upon their predecessors’ legacies. Dean Hor, for instance, has striven to impress upon his students the need to have worthy ideals, like integrity and professionalism, and the tenacity to never lose them, while Deans Gane and Howells have remained visibly committed to promoting academic excellence and enhancing the interchange between universities and the profession.... Click here to read the full article.